Hillary Clinton under fire: Donations to family foundation by foreign governments and corporations subject of controversy. Hillary Clinton addressed the controversy about her email arrangement while secretary of state but some questions remain unanswered. Hillary Clinton failed to quell mounting criticism over her controversial private email account on Tuesday evening after her office suggested she had erased more than half of her emails before turning them over for release to the American public. In a statement released after a press conference intended to end a week-long controversy, Clinton’s office said that she did not preserve 31,830 of the 62,320 emails she sent and received while serving as Barack Obama’s secretary of state from 2009 to 2013. “After her work-related emails were identified and preserved, Secretary Clinton chose not to keep her private, personal emails that were not federal records,” her office said, in a defiant nine-page explanation for the unusual arrangement that has put her under political fire. 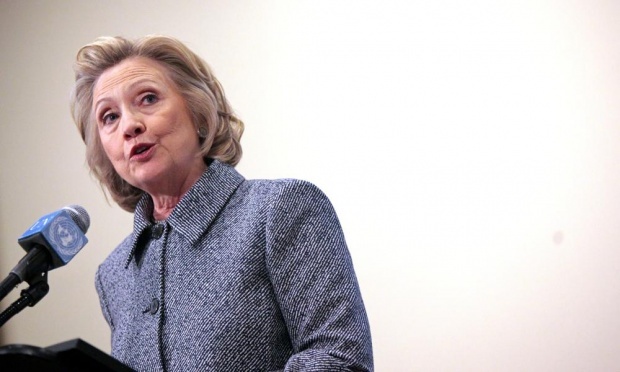 Republicans accused Clinton of blocking transparency. It could not be confirmed whether the deleted archives included messages sent and received by Clinton relating to her family’s philanthropic foundation. Donations to the foundation by foreign governments and corporations are the subject of a separate ongoing controversy. Trey Gowdy, the Republican congressman leading a select committee inquiry into the deadly 2012 attack on a US diplomatic station in Benghazi, Libya, said Clinton had “created more questions than answers” with Tuesday’s intervention. Demanding that she appear before his committee “at least twice”, Gowdy said the former secretary should hand over her email server to a “neutral, detached third-party arbiter who can determine which documents should be public and which should remain private”. The continuing saga threatened to complicate the plans for her expected second campaign for the US presidency, which were thought to be in their final stages in advance of an announcement in April. Criticism has grown since it was revealed last week that Clinton did not use an official government email address during her four years at the State Department. She instead conducted all official business using a private address under the ClintonEmail.com domain. The former secretary’s office said she had turned over all 30,490 of her sent and received emails that related to her work to the State Department. They manually searched her archive, the statement said, first by finding all emails involving people with government email addresses, then searching for some people by name and for topics such as Libya. All these are expected to be published. “You will see everything from the work of government, to emails with State and other administration colleagues, to LinkedIn invites, to talk about the weather – essentially what anyone would see in their own email account,” her office said. In further defiant remarks on the emails that Clinton will not turn over, her office insisted that none contained material relevant to her work in four years leading Foggy Bottom. “These were private, personal messages, including emails about her daughter’s wedding plans, her mother’s funeral services, and condolence notes, as well as emails on family vacations, yoga routines, and other items one would typically find in their own email account, such as offers from retailers, spam, etc,” it said. But the Republican party, which accused Clinton of “putting our national security at risk for ‘convenience’” by operating the private email server, said there could be no independent verification that Clinton had preserved all messages related to her work. “Because only Hillary Clinton controls her personal email account and admitted she deleted many of her emails, no one but Hillary Clinton knows if she handed over every relevant email,” Reince Priebus, the chairman of the Republican National Committee, said in a statement. Clinton rejected suggestions that an independent monitor could review her email server to examine emails not turned over. “I believe that I have met all of my responsibilities and the server will remain private,” she said at the press conference. Despite separately indicating all personal messages were erased, she said the server “contains personal communications from my husband and me”. Complicating matters further, a spokesman for her husband, former president Bill Clinton, told the Wall Street Journal that he had only ever sent two emails. Clinton’s spokesman did not respond to emails seeking clarification on what precisely had been erased, and whether anyone else had kept a copy of Clinton’s personal email archive. Other critics pointed to remarks made by Clinton at an onstage interview last month, in which she said she used both an iPhone and a Blackberry. Discussing devices later in the conversation, Clinton said, “I don’t throw anything away, I’m like two steps short of a hoarder.” It was not clear when Clinton began using two devices. The statement from Clinton’s office addressed other questions raised by the news of her email server – several relating to security and her interaction with foreign governments. The statement said her team’s review of Clinton’s email archive “revealed only one email with a foreign (UK) official”. It clarified that “during her time at State, she communicated with foreign officials in person, through correspondence, and by telephone”. Clinton said during her press conference that she had never used the email account to send classified material. She insisted that the server had been secure by being placed on property protected by the secret service and claimed to know that the system had never been breached. Previous Umwihariko wa Revolisiyo: inkunga yo kwirukana Agatsiko ntizabura ! Ariko nanone si Abazungu bazadutangirira ikivi.